groupings and effective use of literature. 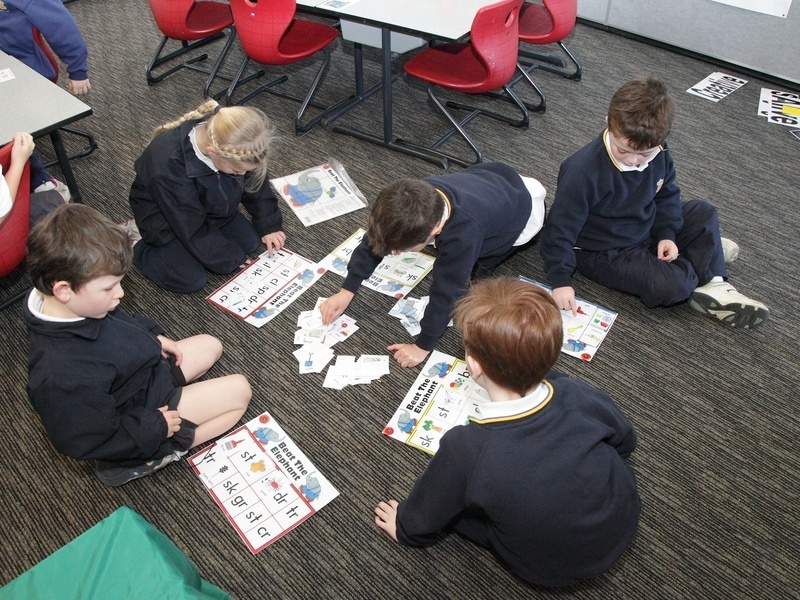 Dedication of an uninterrupted literacy block including modelled, guided and independent sessions for both reading & viewing and writing & representing. Use a range of appropriate resources including ICLT. Diagnostic assessment, including Running Records and writing samples (imaginative, informative and persuasive texts), to create a whole school picture, develop school based targets and to inform teaching programs. Effective feedback and reporting to parents and students that is explicit, clear and supported by evidence. Ongoing school-based assessment based on multiple opportunities for students to demonstrate what they know and can do within a range of contexts. Identification process informed by an understanding of children’s linguistic development and achievement standards. Intervention programs facilitated by specialist staff in response to identified student needs. Support for classroom teachers from the English Coordinator and Special Needs Teacher in differentiating classroom programs to optimise student learning. Our annual public speaking competition in which every child Kindergarten to Year 6 participates is held in Term 3. St Thomas debates for Monte Sant’ Angelo Mercy College, North Sydney with a Year 5 & Year 6 team.